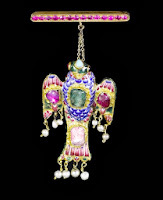 This is a Qajar gem-set enameled gold pendant in the form of an eagle. A pendant (from Old French) word "pendre" and the Latin word "pendere" which means "to hang down" is a loose-hanging piece of jewelery. 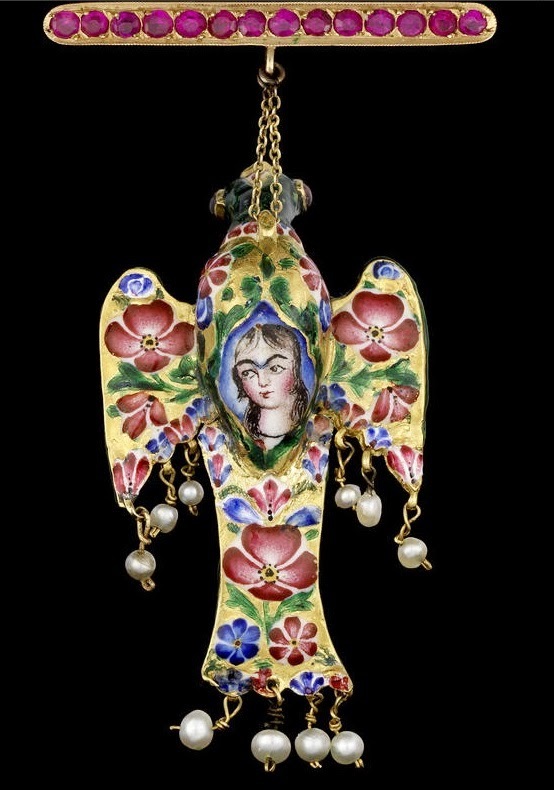 This Persian pendant belongs to 19th Century. Its wings are outspread, and the wings are each with a cabochon ruby. In the center, portrait of a maiden with floral motifs, with seed pearl suspensions can be seen. The bird is 6 cm. high.